Anchorpoint Radio is an assembly sponsored weekly radio program broadcasted on 60 frequencies across Canada that promotes Gospel awareness and explains God's way of salvation. 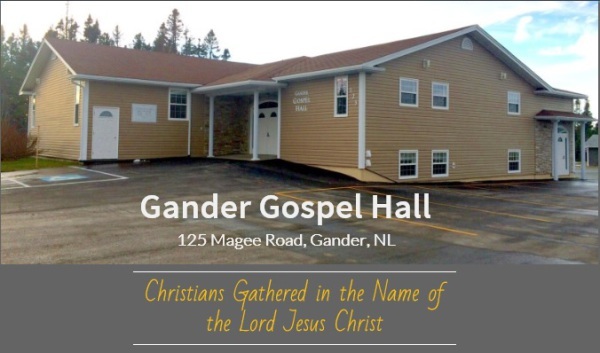 Listen to the Gander broadcasts on VOAR on 89.7 FM on Sundays at 9:00 p.m.
A great website for seekers who would like more information on God's way of salvation as well as many resources for believers who would like to grow in their Christian experience. The IBH is spreads the gospel of our Lord Jesus Christ through literature. A great resource for sound Christian teaching on a variety of Bible topics. Gospelhall.org shares information about assemblies of Christians who gather in the Name of the Lord Jesus Christ, to raise awareness of the gospel message and teaching about Christian living in a New Testament Church.